KAMPALA – The Institute of Certified Professional Accountants of Uganda (ICPAU) has released examination results for the 2018 November sitting. 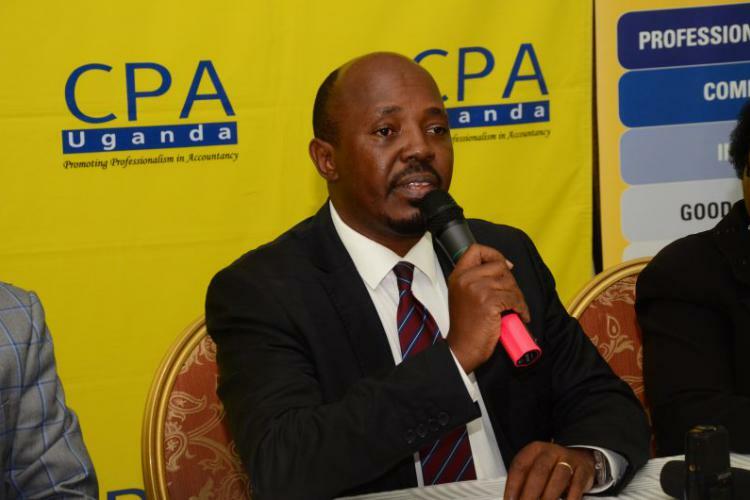 According to Keto Kayemba, the examinations board chairperson, 247 candidates sat for the accounting technician diploma (ATD) examinations, 102 sat for the certified tax advisor (CTA) examinations and 5,858 sat for the certified public accountants (CPA) of Uganda examinations. The three courses had an average pass rate of 47.4 percent. “The average pass rate for ATD examinations was 49.4 percent, CTA was 53.3 percent, while for CPA it was 39.7 percent for the 5,853 students who sat the examinations most of whom in the age bracket of 25 to 29 years,’ she said during the release of the results yesterday at the Imperial Royal hotel. She said they are waiting for Parliament to finish probing Bank of Uganda to take action against the individuals who caused the mess. Frederick Kibeddi, the President ICPAU, said the ongoing parliament probe into the manner in which Bank of Uganda closed private commercial banks, is an example of the role accountants play in the economy and the institute is scaling up the campaign to ensure only qualified accountants occupy such positions. “Accountants are responsible for the right management of resources, good governance of institutions, tax and business advisory, and since the international financial reporting standards are being affected this year, energy is being put to ensure that reporters comply with utmost efficiency,” he said explaining that since all accountants are regulated by the international federation of accountants, there is no one accountant can claim to be better than another. “Those findings were brought out by the Auditor General so that people are able to see and torch into the institution. We are going to examine the role of individual professional accountants involved in the allegations,” he said adding that whether in private or public institution, accountants are the people behind report produced, bills in parliament, decisions taken in places meant for serious deliberations. Since late October 2018, parliament has been probing Bank of Uganda officials to find out what happened and why the central bank closed seven local owned banks where some of the findings lack accountability in the institution which is deemed to have some of the best accountants in the country.